TUESDAY, Sept. 5, 2017 (HealthDay News) -- Despite ongoing debate over the value of prostate cancer screening, a new review says it can indeed reduce a man's risk of dying from the disease. Early tumor detection using the prostate-specific antigen (PSA) blood test lowers a man's risk of prostate cancer death by 25 percent to 32 percent, the new analysis of two major trials of PSA testing found. "The amount of early diagnosis was very strongly correlated with the reduced risk of prostate cancer death," said senior researcher Ruth Etzioni, a biostatistician with the Fred Hutchinson Cancer Research Center in Seattle. However, there's still a good chance that many men will wind up treated for prostate cancer that would not have killed them, Etzioni said. "There are definitely harms and, on average, in a population probably five times as many men will be overtreated as will be saved," Etzioni said. Because of this, Etzioni believes the decision about PSA screening will continue to be an individual choice for each man, after consulting with his doctor. "It's still going to require a discussion between a person and their doc, because of the overtreatment problem," Etzioni said. 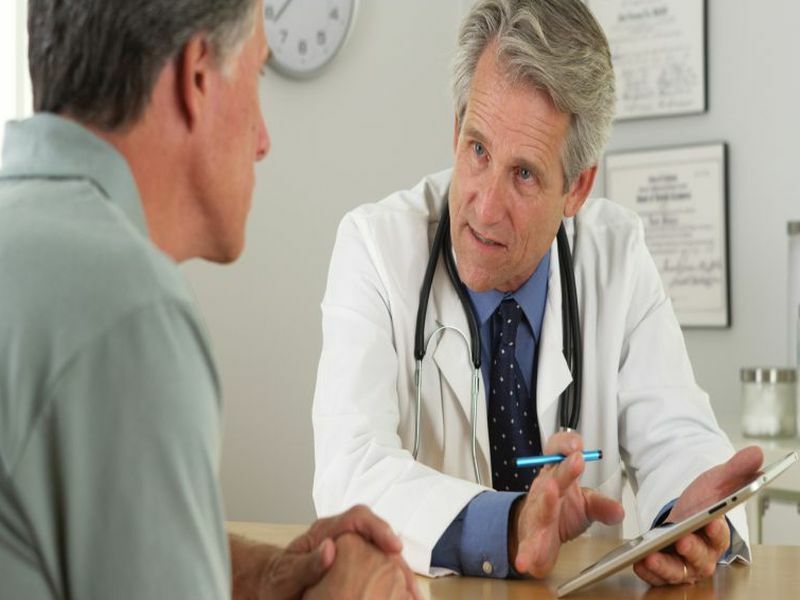 Prostate cancer surgery can lead to impotence and incontinence, drastically affecting a man's quality of life. At the same time, most prostate tumors are slow-growing, and most men with prostate cancer wind up dying of heart disease or some other cause. Because of this, debate has raged for years among health care experts about whether men should be screened for prostate cancer at all. Until about 2008, many doctors and medical societies encouraged yearly screening for men aged 50 and older using the PSA test, which examines blood for a protein produced by cells of the prostate gland, according to the U.S. National Cancer Institute. Elevated PSA levels often occur in men with prostate cancer. Even though no clinical trials had been conducted, the PSA test "became adopted very rapidly because of the feeling that early detection should be beneficial to reduce the risk of dying from prostate cancer," Etzioni said. In 2009, a pair of long-awaited clinical trials on the testing -- one from Europe, the other from the United States -- were published. Unfortunately, the trials provided confusion rather than clarity. The U.S. trial reported no benefit of PSA testing, while the European trial found a 20 percent reduced risk of death in men who underwent the screening, Etzioni said. As a result, the U.S. Preventive Services Task Force (USPSTF) made the controversial move in 2012 to recommend against PSA testing altogether. Other groups, like the American Cancer Society, recommended that doctors share information from the clinical trials with men and let the patients decide. Etzioni and her team decided to revisit the results of those two clinical trials, to see if the data could be re-assessed in a way that would better clarify the benefit of PSA screening. The two trials were designed and conducted very differently. There was no clear "control" group in the U.S. trial, where no patients received PSA testing. Instead, researchers compared the results of random versus routine screening of men, Etzioni said. To make an apples-to-apples comparison between the two, Etzioni and her colleagues made mathematical adjustments to account for these differences. When the researchers made those adjustments, the two trials wound up with very similar results. The U.S. trial showed a 27 percent to 32 percent lower risk of prostate cancer death thanks to screening, while the European trial showed a 25 percent to 31 percent reduced risk. "We concluded that both groups of the U.S. trial were reflecting a benefit of screening," Etzioni said. "That's why when you compared them to each other, you didn't see a difference." Dr. Otis Brawley, chief medical officer for the American Cancer Society, said the new study provides some much-needed "clarity in an area where there was at one time a great deal of confusion." Brawley said, "If I were talking to a patient today, I would explain to them the risks and benefits differently and with more confidence than I would have explained it to them in 2010." Studies like this have led groups on either side of the debate to meet in the middle, he added. "Those of us who were a little more concerned with the harms have come to accept there are some benefits, and those more concerned with the benefits now admit there also are some harms," Brawley said. As a result, the USPSTF may soften its stance against PSA screening. It has proposed adopting guidelines similar to the American Cancer Society, where men aged 55 to 69 could choose PSA testing after consulting with a doctor. However, the USPSTF still would recommend against screening men aged 70 or older. The new analysis was published Sept. 4 in the journal Annals of Internal Medicine.